Become more confident and find which styles, proportions and colours suit you best, with a professional stylist. 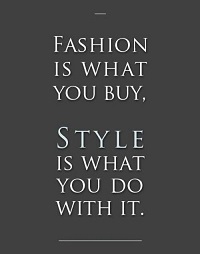 As well as being fun, fashion should serve you and your body. It should be an expression of your personal style, build your confidence and boost your self-esteem. Have fun discovering your unique fashion personality and learn how to always present the best version of YOU! Learn about colour, pattern, texture and style in ways that you can immediately use to support your image. We’ll also talk accessories and how to use them to maximise your existing wardrobe. Bring a pen and paper and one or two fashion magazines, scissors, sticky tape, plus a couple of pieces of clothing or accessories that you may like to swap (optional).